This lightweight Antioxidant Facial Oil helps to replenish the skin’s natural defence against urban living, including air pollution, harsh weather conditions, dehydrating air conditioning and hectic lifestyles. It has a refreshing, uplifting scent from essential oils lavender and rose geranium. Gently massage 2-3 drops into cleansed skin. Use alone or as a base before layering other Rio Rosa Mosqueta products. Below are reviews of Rio Rosa Mosqueta Antioxidant Facial Oil - 30ml by bodykind customers. If you have tried this product we'd love to hear what you think so please leave a review. 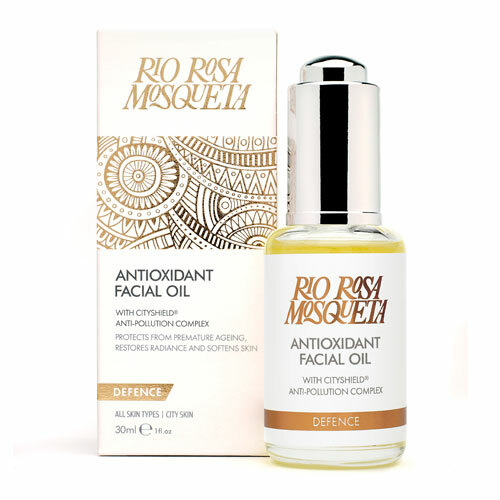 This lightweight Antioxidant Facial Oil helps to replenish the skin’s natural defence against urban living, including air pollution, harsh weather conditions, dehydrating air conditioning and hectic lifestyles.